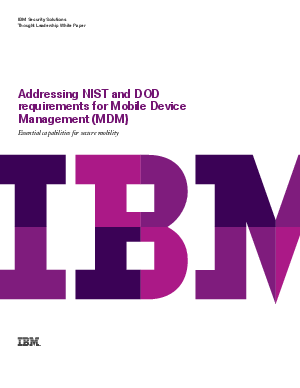 The National Institute for Standards and Technology (NIST) and the Defense Information Systems Agency (DISA) have taken leading roles in exploring requirements for Mobile Device Management (MDM) systems for government agencies. MDM products and platforms can help mitigate these vulnerabilities. But managing mobile devices is a complex subject with many sub-topics, including policy management, secure communications, secure storage, device authentication, remediation and auditing.